As the name implies, the Guelph ‘Fast and Furious’ meet is geared to shorter events and is held over one afternoon, with a focus on 25, 50, 100 and 200 m for all four strokes, plus individual medley and relay events. If you plan on doing the maximum number of events of six as I did, one must plan the races accordingly. With only 105 registered swimmers the entire meet, including a 45-minute warm up, lasted only four hours. As such, this meet is a test of stamina that requires a strategy of how best to conserve energy, and perhaps swim fast in one or two races. This strategy worked reasonably well for me except for the last two events – 200 free and 200 I.M – which were only 12 minutes apart. 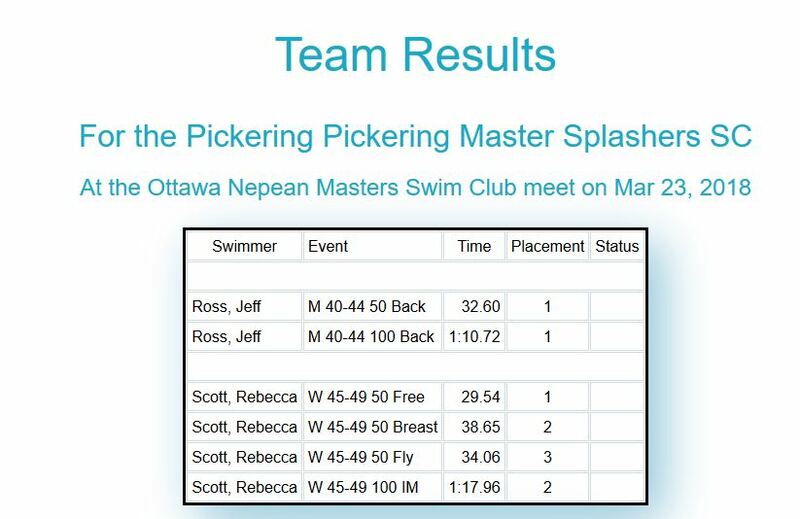 This was the first time that the Guelph Marlins (Masters section) hosted this meet. Swimmers were seeded slowest to fastest so there were different age groups, with male and female participants, mixed together. Dawn Larson, the meet manager, provided the results within an hour of the meet’s completion. She advised me that if there are more registrations next year, there will be separate events for men and women, but that there would not be age group heats. (Note: the MSO site has categorized the results by five-year age groups and M/F). Here is short video of my 25 m fly at 15.08 seconds which was good enough for a fourth place finish out of 33 competitors. 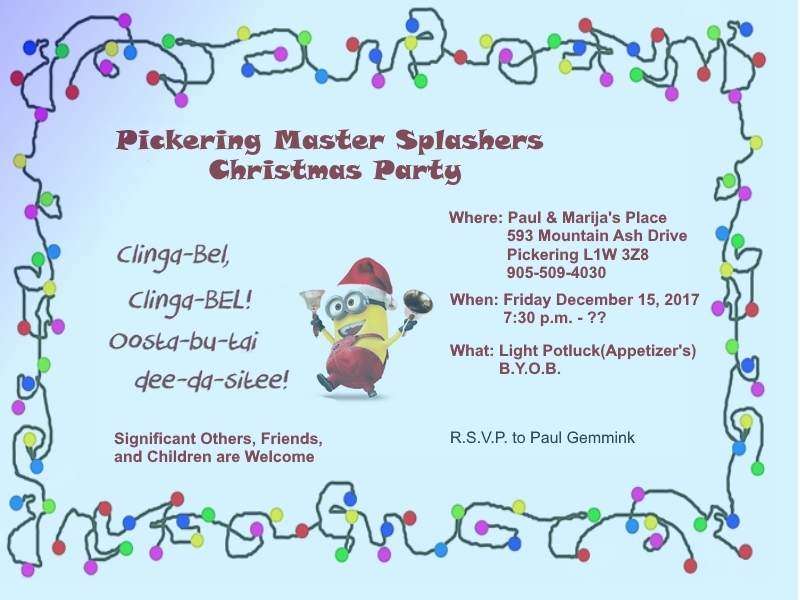 If Guelph hosts the event next year, I would recommend that more PMS members attend. As a bonus, Dawn says that bell prizes will be offered in 2019. Other than a late start due to an age group swim meet in the morning that ran overtime, it was well run. Greg is organizing our first outing of the 2018/19 season to the Regent in Oshawa. If you are interested in an evening with Tom and the boys… well almost, then join us for a rocking great time. Please let Greg know at gbordash@rogers.com ASAP or by next Tuesday October 31, 2018, so group tickets (group of ten or more) can be purchased. Performance is already scheduled to be well attended and will probably sell out. Tickets are approx. $35. 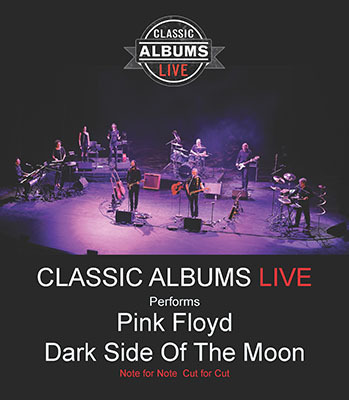 Classic Albums Live takes classic albums from the 60’s and 70’s and recreates those albums live on stage – note for note, cut for cut. Using the world’s greatest musicians, fans are treated to an exact replication of the album followed by a second set of the featured artist’s greatest hits. The 2018/19 season commences with an open practice on Monday September 17, 2018 8:30 pm at TPASC. All Welcome, Previously members and new. 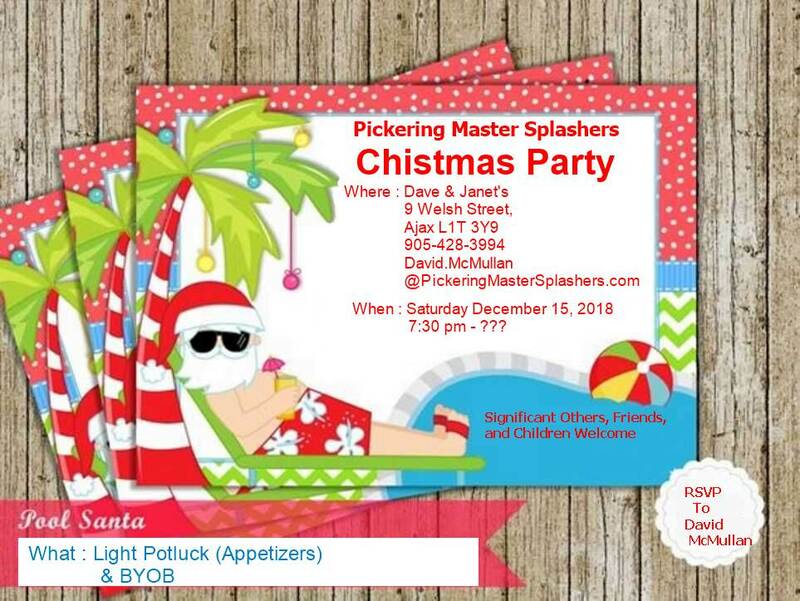 All that is required is a signed waiver which maybe downloaded from https://pickeringmastersplashers.com/membership/. 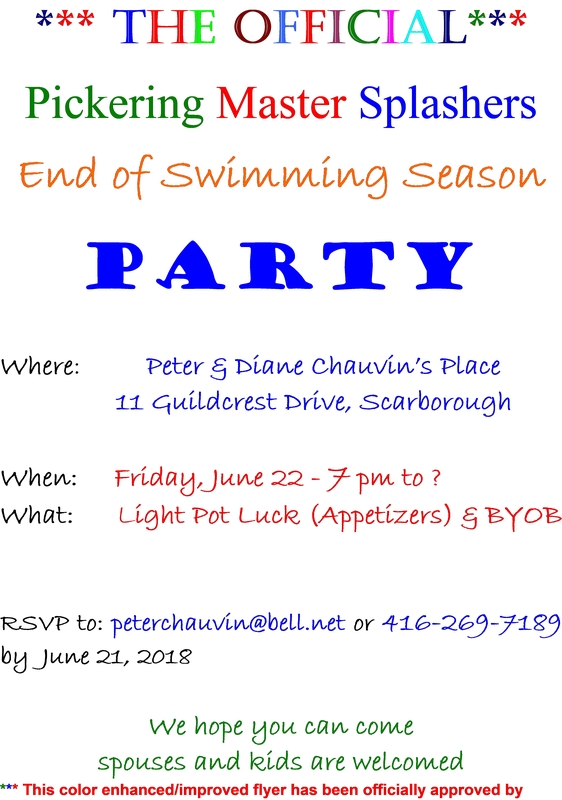 This to be followed by our first official practice on Tuesday September 18, 2018 9:00-10:00 pm at the Dunbarton Indoor Pool (DIP). On the 18th before the practice, there will be an informational meeting from 8:00-9:00 pm in downstairs meeting room at DIP to present plans and outline the upcoming season with PMS. Again all welcome. Greg is organizing another outing to the Regent in Oshawa. If you are interested, please let him know at gbordash@rogers.com ASAP or by next Tuesday February 27th so group tickets can be purchased. tickets are approx. $35. The story began in 1976. Pink Floyd takes us all on a journey. We live our lives alongside their masterpieces. They provide a soundtrack for our lives. Classic Albums Live perform the album like an orchestra would perform Mozart. With reverence and awe. Since the onset of Classic Albums Live in 2003, we have been continually striving for perfection within the performance of the album. We never take this record for granted. We never rest on our laurels. The album demands a deft touch. We use our ‘note for note’ phrase as a credo, but we also get fanatical about ‘tone for tone’ and ‘feel for feel.’ This music demands greatness. The performance needs to be perfect. There is no grey area. You’re either on the dark side of the moon or the bright side. Our orbit is sound. ‘Dark Side of the Moon’ is our flagship show. It’s the show that changed our lives for the better. We hope that at some time during the performance – you close your eyes and dream of both the future and the past. And that you realize that you have grown up with one of the greatest pieces of music ever made. Intermission will take place after the album has been performed, followed by a 2nd set consisting of Pink Floyd greatest hits.